Yacht design is a game of inches. 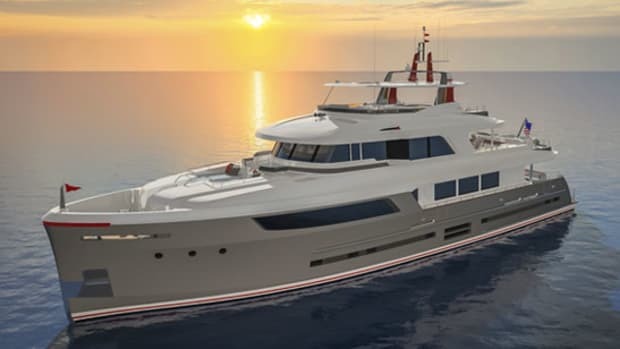 You wouldn’t think that would be the case when building 93,000-pound, 61-foot motoryachts bred to take on the world’s most treacherous oceans. 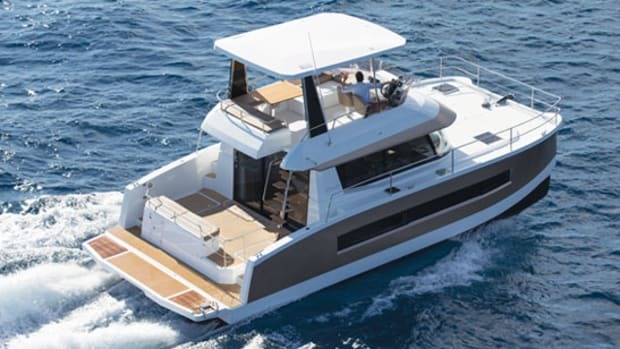 But ask Outer Reef General Manager Mike Schlichtig what kind of difference 3 feet made when stretching the 580 motoryacht to build a 610 for a discerning owner and you’re in for a lesson in design. “We use a monolithic hull mold, which allows flexibility in the size of our boats,” Schlichtig says. 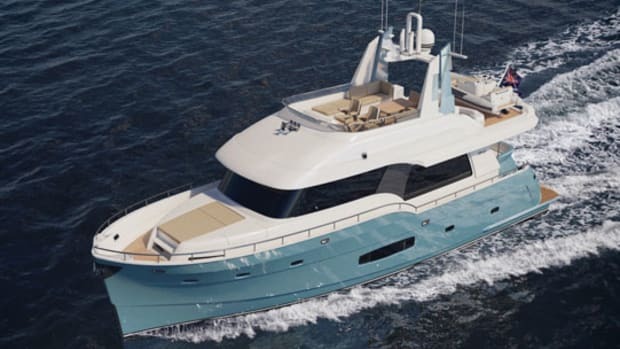 It’s also the reason Outer Reef is able to build so many motoryachts, from its 580 to the 860, with just a few molds. 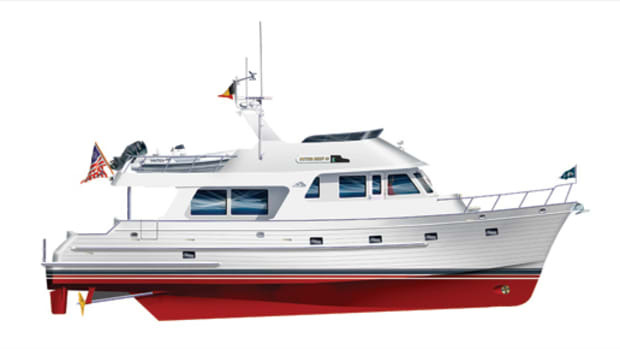 One of the primary reasons for building the 610 was that a knowledgable client wanted the more-adult-friendly, side-by-side berths in the guest cabin instead of bunks; and he wanted the option to transform the singles to a double berth. 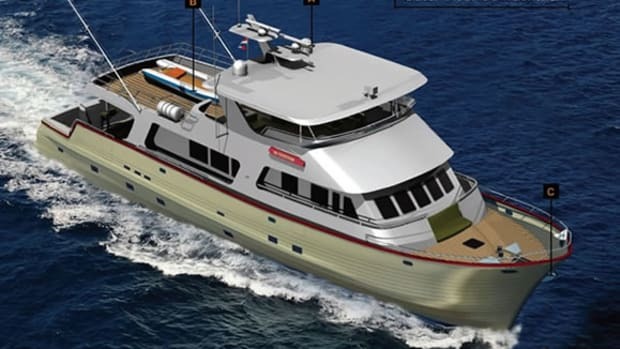 It was a modest request for the custom builder, but it produced a domino effect that may have resulted in one of the company’s most popular new models to date. In addition to the extra volume and berths the owner wanted, the longer waterline length provides a pleasant increase in performance. The large seating area abaft the helm is a sign that this boat was made to travel. The increased volume is just one of the things to like about the interior of the 610. 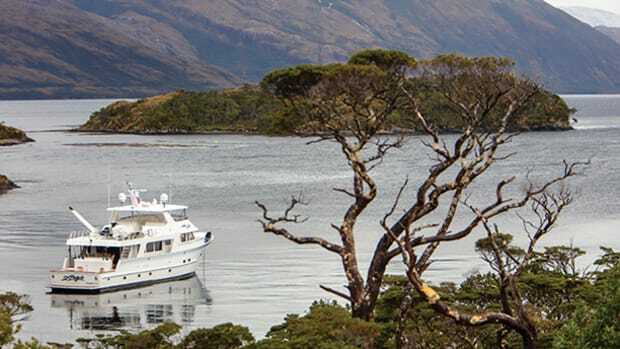 Her accommodations include a full-beam master amidships, a forward VIP, and of course the guest cabin, which, judging by the photos of Hull No. 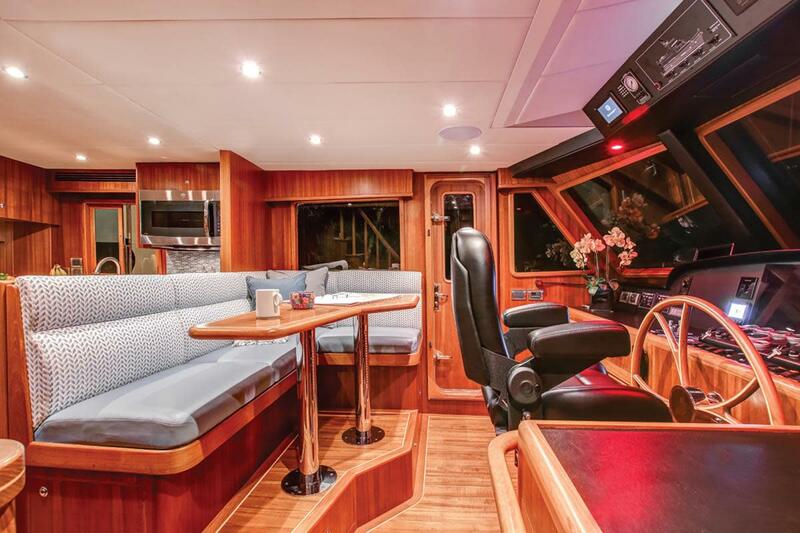 1, took full advantage of Outer Reef’s $20,000 use-it-or-lose-it interior décor allowance that gives the boat a look and feel unique to each owner. Stepping through the saloon door, you enter a space that is nice and open all the way to the helm. 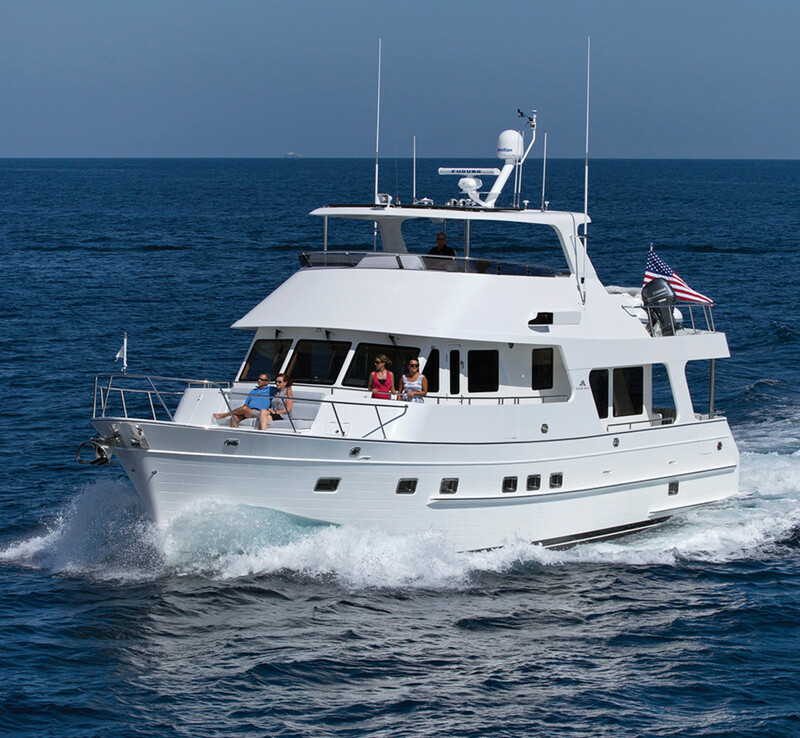 It’s a smart layout, with a galley in between the saloon and helm lounge that services both locations, whether you’re entertaining guests or whipping up sandwiches on an ocean crossing. 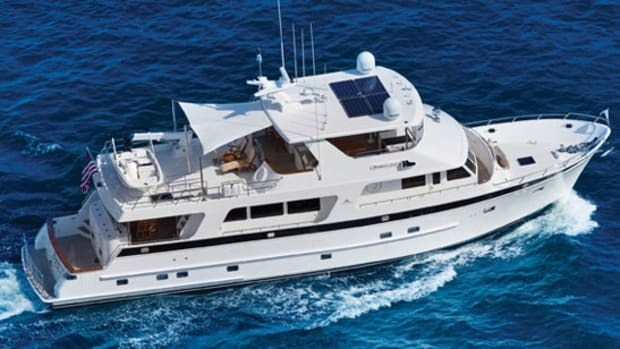 From her living spaces to her waterline, the 610 motoryacht was intended to match a specific interior vision, and it ended up with better performance and seakeeping. 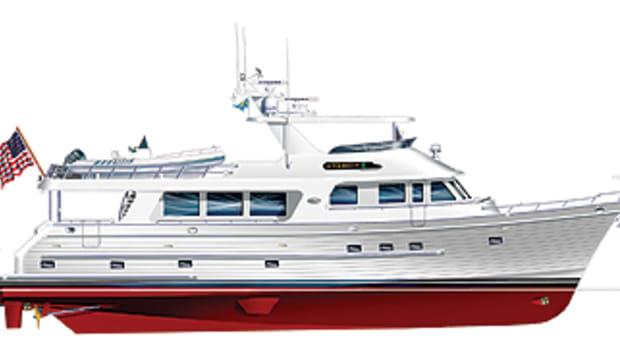 Look for her to make her world debut at the Newport International Boat Show. 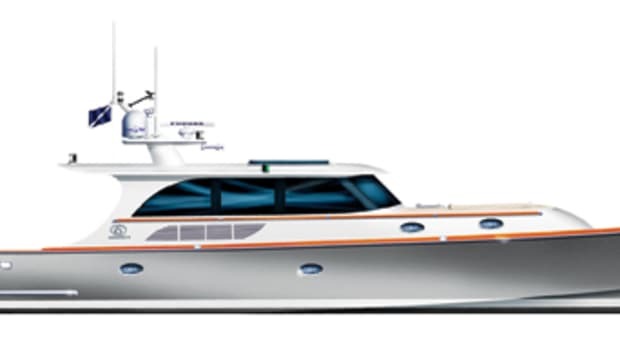 And if she’s close to being your perfect boat, but you’d like to make a couple of custom tweaks, let Outer Reef—and us—know. You too might have a hand in creating an exciting new model.